The history of archive releases, updates and bug fixes is recorded under the release history page. Users wishing to receive email announcements of such entries should subscribe to the VSA_Announcelist (contact vsa-support@roe.ac.uk). 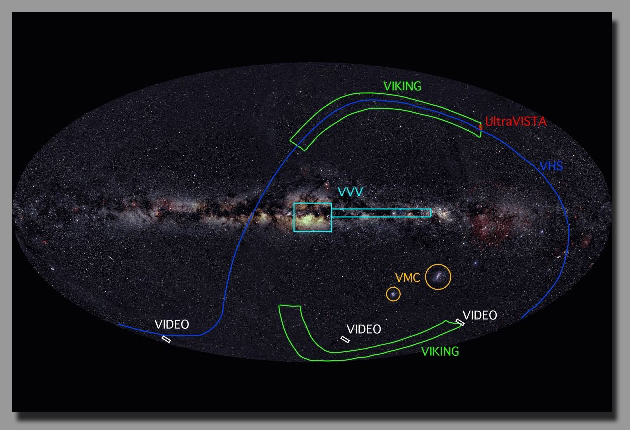 Picture: Sky coverage of VISTA surveys, overlaid on a 2MASS image of the whole sky.